West Virginia has one of the highest percentages of veterans of any state. And many of those veterans come from the "Greatest Generation," who saved the world from fascism. A few years ago, West Virginia Public Broadcasting's Pat Sergent featured our heroes in a 30-minute documentary, "West Virginians Remember World War II." It includes the stories of both everyday citizens and war heroes. Black and white, male and female, they all served and their service marked a huge change in their lives and the life of our country. Those stories by our producer Pat Sergent still resonate with us today. The American Defenders of Bataan and Corregidor Museum housed in the Brook Count Public Library began when one WWII POW donated memories. Eddie Jackfert shares memories and advice. 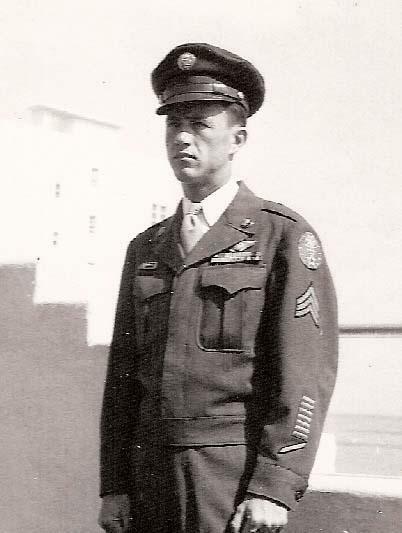 On September 11, 1940, Jackfert enlisted in the United States Army Air Corps and eventually assigned to serve as an airplane mechanic on the Philippine Islands in June 1941. He was 19 years old.